In the Diageo program, one of our major focus and ambitions is to deliver ‘gold class’ execution. Throughout the year, our standards of execution have been reaching all new heights through our Area Managers’ in field capability coaching with our dedicated team. It is at a great time we reach an exceptional standard of execution across all states as we now share our best displays on Diageo’s social network Yammer which has gone viral across our field team and the whole Diageo office. Our Dedicated Merchandiser in Wollongong, Larissa Arnold is one of many who sets the standard in execution and sales persuasion. 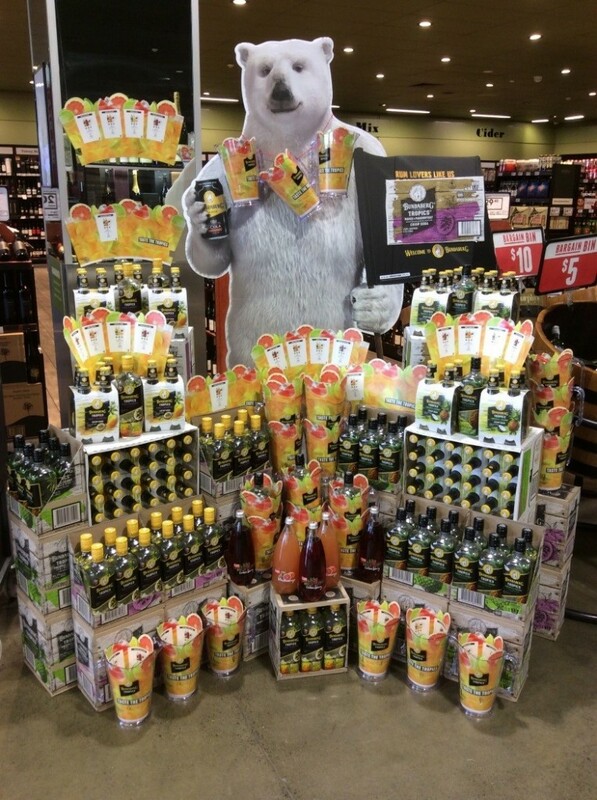 In Dan Murphy’s stores, we had the objective to support our new product distributed – Bundaberg Tropics Premix – which was on promotion with a free jug. In Dan Murphy’s Nowra and Shellharbour, Larissa leveraged the promotion and her store relationship to achieve over and above displays that are ‘out of this world’ and also organised tasting sessions for the public. We had reports with Larissa’s support, Dan Murphy’s Nowra sold over $1000 worth of Bundaberg Tropics during the tasting session. She was very happy with the result and so were we. Well done Larissa!